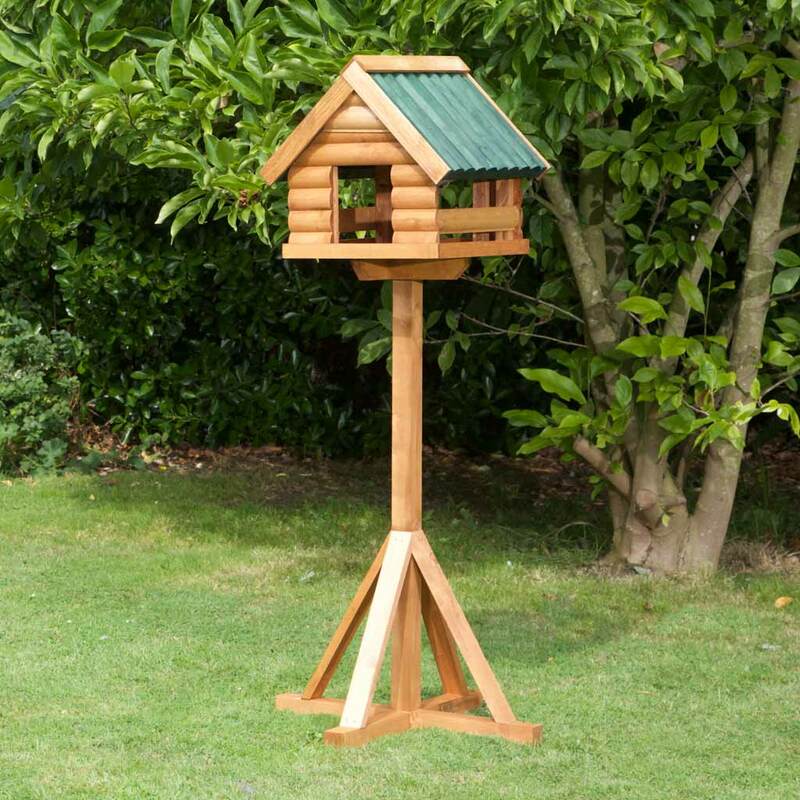 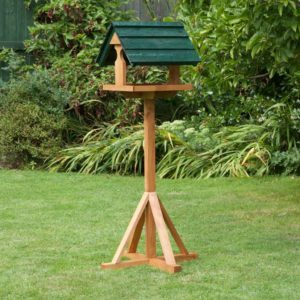 If you or someone you know loves watching wild birds in their garden or believes like we do that no garden is complete without a good quality bird table, then we’re proud to present our best seller. 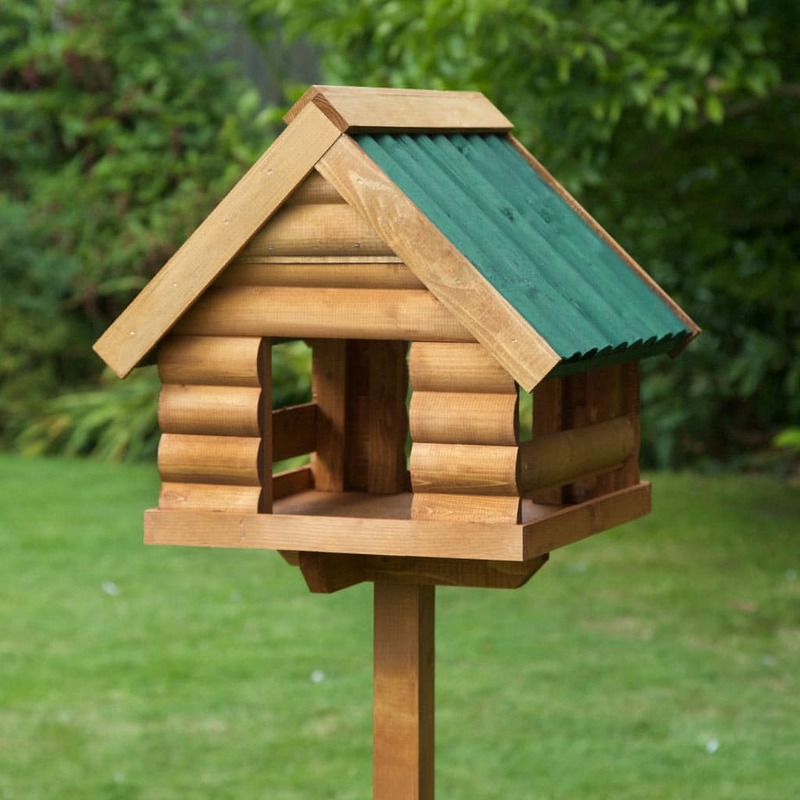 The Fordwich Bird Feeder. 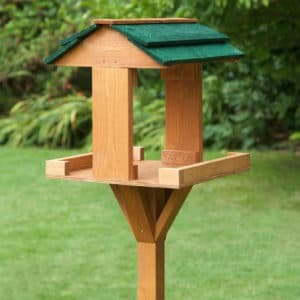 Sadly garden birds, as well as other types of animals in the wild, are finding the supply of food that was once abundant either dwindling or completely gone. 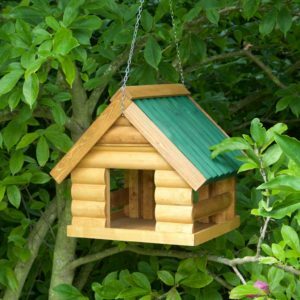 There are many reasons for this, changes in the countryside and the way gardens are being managed to name a few. 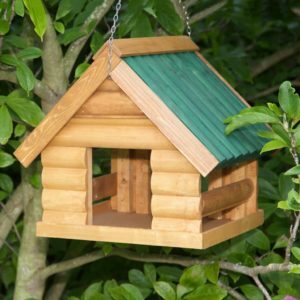 As a lover of wildlife, you know how vital it is to have a food source and a safe area in which to supply it. 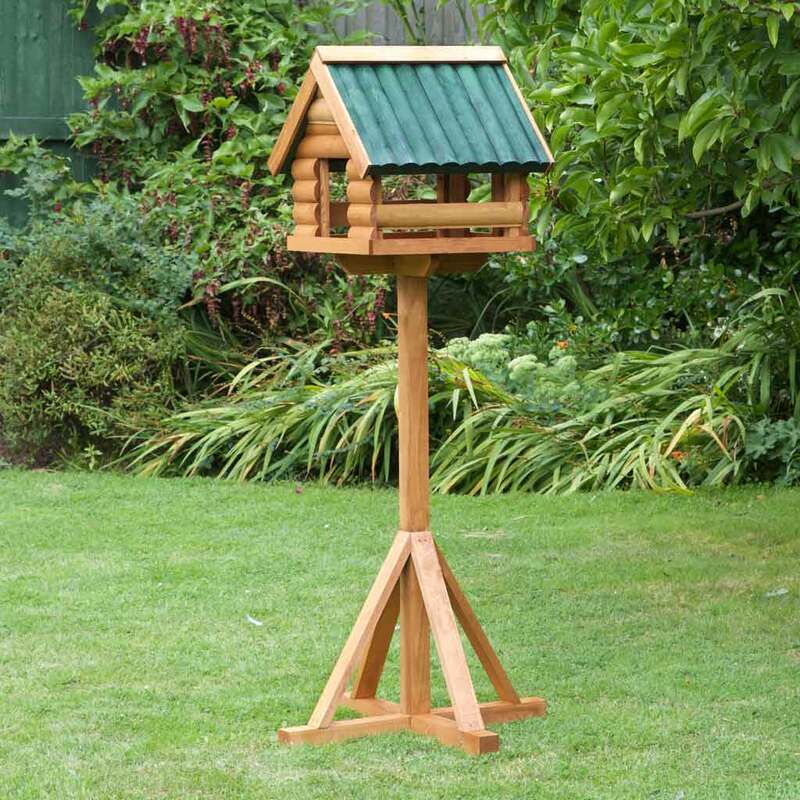 This and many other reasons is why the Fordwich has been so popular with gardeners and twitchers alike. 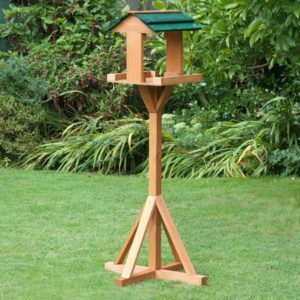 The Fordwich Bird Table has been designed to help discourage larger birds from feeing, which can cause problems with smaller birds being either too scared to feed, or once there being bullied away. 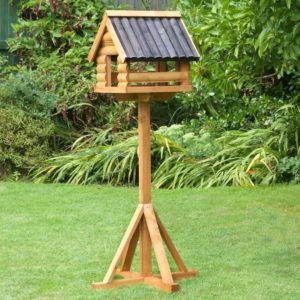 The heavyweight design creates a stable platform, and the large housing section and small entrances help smaller birds feel safer and increase the chances of them returning. 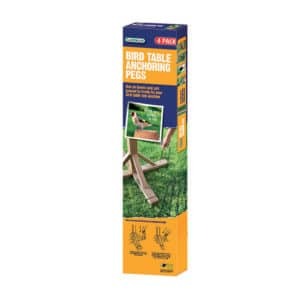 It’s also essential that your new bird table looks excellent standing in your garden. 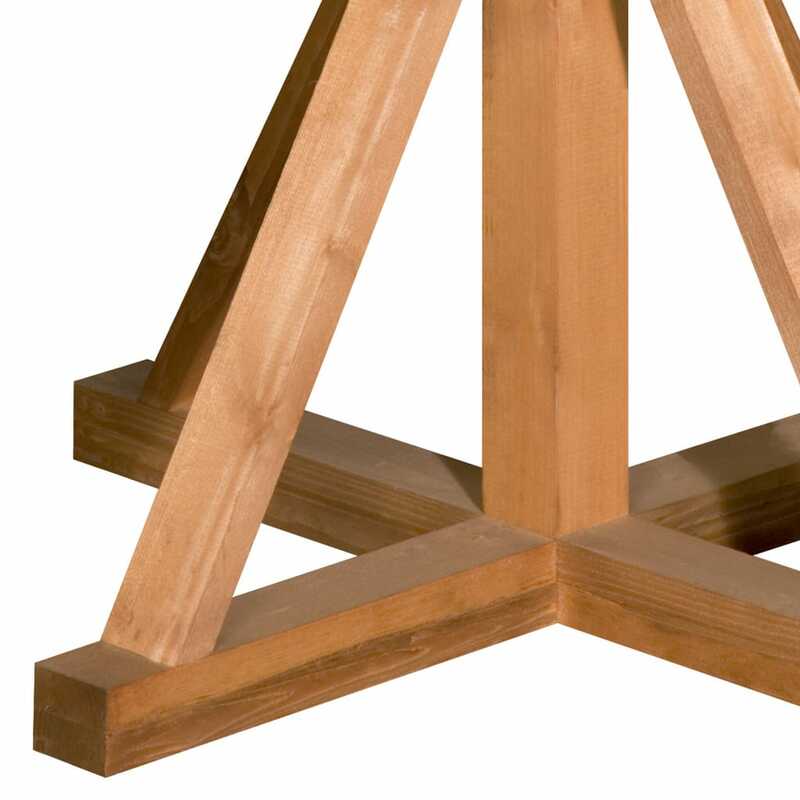 Another reason for the Fordwich’s popularity is the table’s classic looks. Completely designed and made by hand in the UK, the two-tone colour of wood stain and garden green used for the roof gives the table a lovely finish. 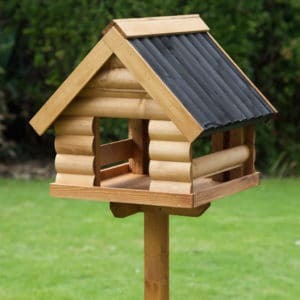 The unique Log Lap wood that makes up the house section is all made from sustainable Scandinavian timber. 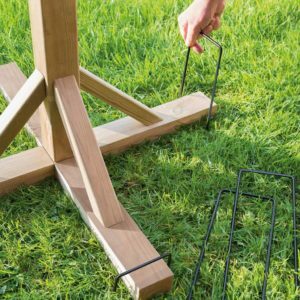 Delivered to you securely in one large box, the Fordwich has been designed so anyone can easily and quickly put together. 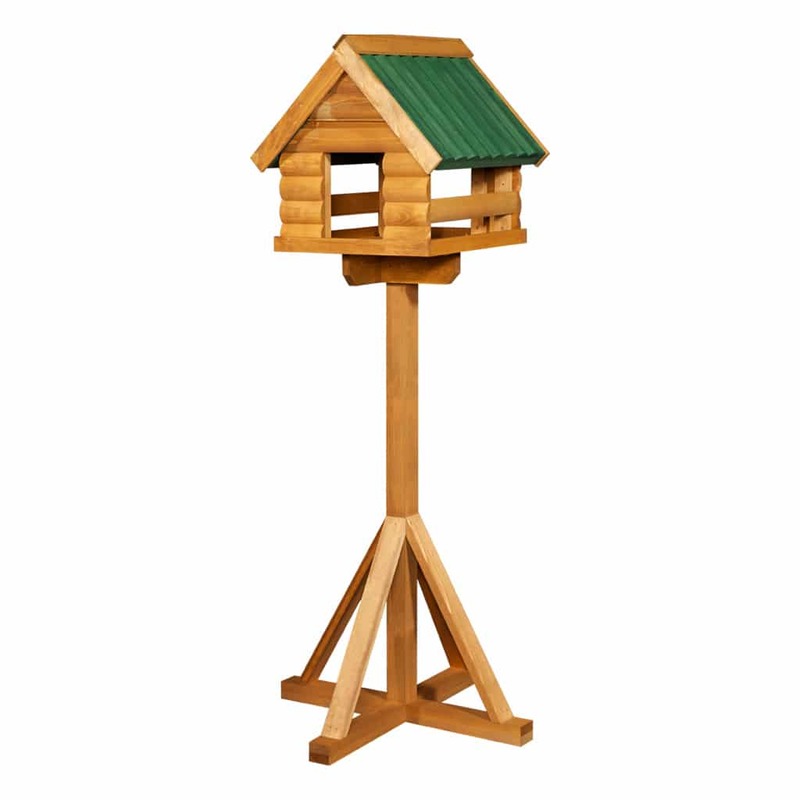 The central housing unit just slides on to the stand and is secured with a locking nut. 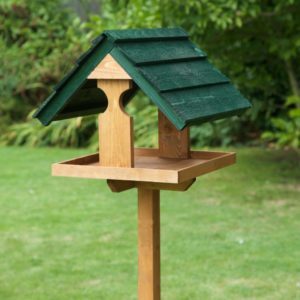 The Fordwich Bird Table is a perfect addition to anyone’s garden and a step in the right direction for sustainability and responsible wild bird feeding.